“During already the first meditation with one of the cats I was able to really understand/ receive the fears of the cat which funny enough also reflected my own deep down hidden feelings. The cat was agitated with wide black eyes (pupils- at first) then we both had some understanding and healing (my tears kept rolling). By the end the cat was calm, even blinked (a sign of trust) and small pupils. We both got so much out of it. What an unique experience. Thank you so much. I can highly recommend this to everyone.” Marlies. “It was lovely to learn the meditation and see how Reiki works. 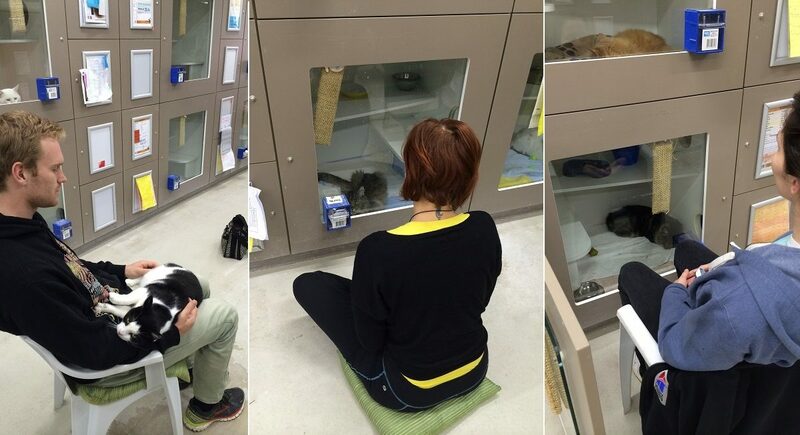 The fact that we could interact with the cats was fantastic. I feel more relaxed and at peace now at the end of the day, than I have for ages.” Del.